As I was getting this post up, I was surprised to find that this knobbly, not-so-good-looking tuber aka taro root (colocasia/arbi/chamadumpa) is mentioned for the first time in my blog. Better late than never. 🙂 At home, we enjoy taro root cooked in a tangy tamarind sauce aka pulusu. I also enjoy this starchy tuber in the form of a stir fry or chips seasoned with chilli powder and salt. 1 Heat oil in a pan. Add mustard seeds and let them pop, add methi and curry leaves toss for a half a minute till the flavors come out and take care not to burn them. 2 Add the chopped onions and green chillis and saute for a minute. Add the taro root pieces and salt and combine. Cook for 10-12 mts or till the onions and taro root are lightly browned. 3 Add chilli pwd, coriander pwd and turmeric pwd and combine well. Add the chopped tomatoes and cook further for another 4-5 mts. 4 Add the grated jaggery and tamarind pulp along with approx three cups of water. Bring to a boil and reduce flame and cover with lid. Let it cook for 8-10 mts till the gravy thickens slightly. Remember, ‘pulusu’ is a gravy dish and should be of a slightly watery consistency. 5 Once cooked, garnish with coriander leaves and serve hot with steamed rice. Can i boil the arbi before cooking coz it took a long time for them to boil. And also is there a recipe of chemadumpala fry? There is not need to pre-cook the arbi. Saute it along with onions for a good 12-15 mts and allow it to cook in the water which is added after sauteing the tomatoes. 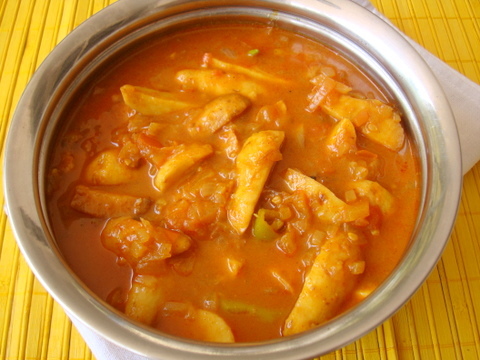 Sailu garu – can u post the recipe for karivepaku karam and senagapappu karam please. Very tempting !!! Love the pic. I have been waiting for a arbi recipe. thanks for that. We are not too fond of gravy dishes. Can I skip ‘adding approx 3 cups of water’ and make it like a dry dish. For stir fry recipe, arbi has to be pre-cooked and then stir fried with spices. This recipe will not work for a stir fry, will blog a taro root stir fry recipe soon. 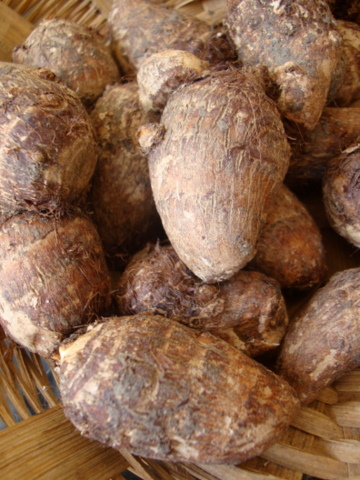 Whenever I eat wild yam my throat itches real bad, could I be allergic to it? Or is it normal? Its allergic reaction to wild yam. Yes, its normal. I am a huge fan. I have tried out your gulab jamun recipe and sandwaich recipes came out brilliantly. I want to make your chocolate banana cake recipe. I think it will be a wonderful snack for my daughter to take to school. You have mentioned 3 bananas in the recipe. Do you mean the long ones or small ones. Would it be possible to give a cup measurement for the mashed banana pulp. I really want to try it out. Thanks in advance. I’m glad you enjoyed the recipes, Priya. Use about 1 1/2 cups of mashed banana pulp. I used the medium sized bananas. Thank you, Sailu. I am going to try the banana cake over the weekend. chamadumpala pulusu lo masala veste baguntundi. ginger,musturd seeds,vellulli rebbalu ,jeera grind chesi mudda last lo veste taste baguntundi. Thanks for this simple preperation. Once again something which i can prepare on a working day early morning for my lunch box and leave some for dinner while i return late from office. Just a quick question – if i replace arbi with brinjal or drumsticks or similar vegetable… should i add onions and chopped vegetables at the same time (step two) or onions first then after a few mins the chopped vegetables? and forgot to ask… u used salt twice… step 2 and 3… twice is it? and any approx amount of salt each time? Thanks. Another dish that come close to home for me. My mom never used tomatoes. Maybe it’s just me but I thought that tamarind and tomatoes compete with each other, and the flavor of tomatoes is lost in the dish…? Nevertheless, another favorite of mine! 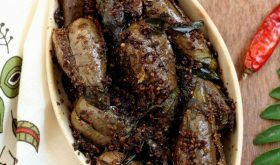 i’m a new visitor to ur site and writing for the first time.i have tried some of ur recepies which have come really very well particularly the recepies of bitter gourd which was loved very much by my husband…. thank u for sharing ur recepies which helped me a lot as i very much new to cooking..